Hugh Farmer: If you can add further information on these or other studios please add a comment or email me directly: indhhk at gmail dot com. I have included a couple of film studios in China where they have a Hong Kong connection. Thanks to IDJ for informing me about the illuminatedlantern.com website, linked below, from which I have added to our initial information. Source (1). HF: Philip Edward Kenny who runs the absorbing website about HK film locations, hongkongandmacacufilmstuff , linked below, kindly posted a comment in response to the article, A Brief History of Hong Kong Cinema to 1988 – Film Studios and Personalities. I have inserted these comments into this article which focusses on Film Studios and to a lesser extent about Film Production companies in Hong Kong. The two appear to frequently overlap. As he says this is a huge subject, there have been hundreds of studios and film companies in Hong. And complicated as they frequently changed name, split into different companies, took over existing studios, and so on. Below Philip’s comments I have begun a list of HK Film Studios. I have initially incorporated studios he mentions with his notes. Plus I have tracked down those that made at least twenty films, an arbitary number but indicating both substance and longevity, though in this industry the latter could a matter of four or five years. I have indicated the usual English name of the studio, the date it started and closed, and details about its location, history, layout and people involved. It would also be great to post photographs or other images. Can you help? Philip’s comment: Golden Studios was indeed Golden Harvest’s studios off Hammer Hill Rd. Before GH, it was leased by MP&GI/Cathay. When Cathay withdrew from film production in HK, GH took over their old studios and in reciprocation, Cathay were given exclusive distribution rights to GH films in Malaysia and Singapore. I believe it was owned by the Union Film Company before MP&GI moved in. The site is now Kingsford Terrace. Another smaller studio, Asia Studios, was located just down the road at the entrance to King Tung St and is now Sun Lai Garden. Wader studios, once the largest in HK, were along Castle Peak Road near Tsuen Wan. There are still lots of production companies, but only really a couple of actual studios left: TVB and Clearwater Bay Studios – both in the Tseung Kwan O area. I’m not sure if CWB even has a sound stage any more – perhaps it only offers post-production facilities? Of course, most film companies these days can hop into China if they need large sound stages or studio sets (Hengdian and Nanhai spring to mind but I am sure there are many more). Asia Studios was located at the entrance to King Tung Street, Diamond Hill. The site is now Sun Lai Garden. Cathay Asia Film 1965-1970 In 1955 Yonghua Fim Company relocated from Kowloon Tsai to Hammer Hill Road, Diamond Hill. Cathay took over this company and it was renamed the Motion Picture and General Investments (MP&GI) studio. When Cathay withdrew from film production in HK Golden Harvest took over Cathay’s studios and in reciprocation Cathay were given exclusive rights to GH films in Malaysia and Singapore. 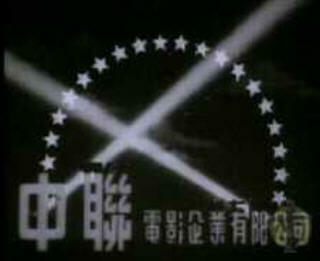 Cinema City & Films Company (新藝城影業公司) better known as Cinema City. The company was established in 1980 by actors Raymong Wong, Karl Maka and Dean Shek. 65 films made between 1980 and 1991. Film Studio(s) – where did the company make its films? Philip adds: As far as I know Cinema City were just one of hundreds of production companies in HK. Only a few companies actually had physical studios. Clearwater Bay Studios 1959- This studio is located in Clearwater Bay and was created through the investments of overseas Chinese. At various times studio bosses were Lu Yuanliang and Liu Huanyi. The studio lot included three sound stages and many exterior sets. It featured a dormitory for its staff. In the 1970s the studio increasingly rented out to companies making TV series and adverts. Daguan Film Studio (Grandview) 1936-1954 Located at To Kwa Wan. Grandview’s founder was Chiu Shu Sun. In 1940 the company bought premises in Diamond Hill and prepared to locate a studio there. However, when Hong Kong was occupied by the Japanese in 1941 all work in building the studio stopped. Work was resumed after the war and the new studio was inaugurated in 1947. In 1954 the studio was re-organised and renamed the Diamond Hill Studio, run by Chiu Shu Ken. Great Wall Pictures Corporation 1949-1960 The Great Wall Film Studio was established in 1949 on the premises of the Sai Kwong Studio and the neighbouring Yau Kiu Studio in Hau Wong Temple, in Tung Tau Tsuen Road, Kowloon City. It was run by Lu Jian Kang with the manager being Zhang Shan Kun and the studio manager, Shen Tian Yin. The studio had four sound stages. From 1950 onwards the studio was also rented out other companies for their productions and the studio was renamed Dai Wah, with the studio manager being Lu Yuan Liang. The studio was closed down in 1960 due to the expiry of the lease. MP&GI (Motion Pictures & General Investment) [The following is somewhat confusing and needs clarifying.] In 1955 Yonghua Fim Company relocated from Kowloon Tsai to off Hammer Hill Road, Diamond Hill. Cathay Asia Film took over this company and it was renamed the Motion Picture and General Investments (MP&GI) who together leased the studio (?). MP&GI’s manager was Zhong Qiwen. When Cathay withdrew from film production in HK, Golden Harvest took over the old studios. Shaw Brothers 1957/1958? The Shaw Brothers Studio was established in 1957 but officially went into operation in 1961. The founder was Run Run Shaw. Since the 1970s (up to 1997?) the studio has been run by Mona Fong. The studio is located in Clearwater Bay occupying over 65,000 square feet with 13 sound stages and many exterior sets. It is the biggest studio in the Far East. Since 1985 (up to 1997?) the studio has been used to make TVB mini-series. 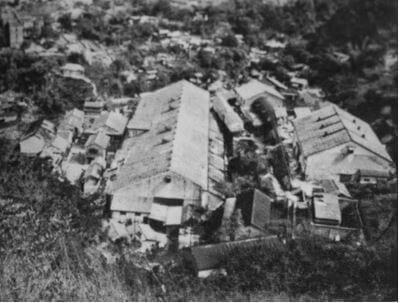 When the PAMAS (Pacific Air Maintenance and Supply Company) hangar was dismantled at Kai Tak airport when the new runway running out to sea was brought into service, it was re-erected at Clearwater Bay as part of the Shaw Brother’s film studio complex. Smacking down all the other studios on this page with around 800 productions, Shaw Brothers, founded in 1957, ruled the roost until the 70s. Celestial Pictures is restoring the Shaw Brothers library and releasing it to DVD around the world. Lots of fantastic films cranked out by this studio, by top directors Chang Cheh, Chor Yuen, Li Han-Hsiang, Ho Meng-Hua, etc., but it took a huge hit when Golden Harvest got Bruce Lee in the seventies, and as other studios moved to more natural location shooting and new styles, Shaws could no longer compete and withered away to television by the early eighties. York Lo: A native of Heshan in Guangdong, Butterfly Wu was her stage name and her birth name was Wu Po-koon (胡寶娟) and she also used the name Wu Sui-wah (胡瑞華) during her school years. She grew up in the North where her father worked as a railroad inspector and became fluent in Mandarin, a huge asset for her talking film career later in her life. At the age of 16, she enrolled in the first film school in China in Shanghai and two years later had her first break being signed to the Unique Film Company founded by Run-je Shaw, the older brother of Run-run Shaw. In 1928, she joined the Star Motion Picture Company and became a huge star with the movie The Burning of the Red Lotus Temple the same year. In 1933, an entertainment publication ran a nationwide poll and she was voted China’s “Movie Queen” with 21334 votes, twice the number of votes of the first runner-up Chen Yu-mei (wife of Runje Shaw) and three times that of second runner-up Ruan Lingyu. York Lo: A native of Heshan in Guangdong, Butterfly Wu was her stage name and her birth name was Wu Po-koon (胡寶娟) and she also used the name Wu Sui-wah (胡瑞華) during her school years. She grew up in the North where her father worked as a railroad inspector and became fluent in Mandarin, a huge asset for her talking film career later in her life. At the age of 16, she enrolled in the first film school in China in Shanghai and two years later had her first break being signed to the Unique Film Company founded by Run-je Shaw, the older brother of Run-run Shaw. 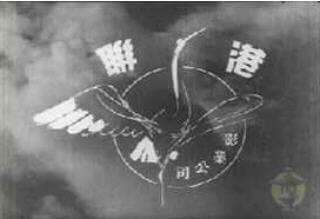 The Wader Film Studio was founded by Hu Jin Kang in 1953. In 1964 following his death it was taken over by Singapore’s Kwong Ngai Organisation, with Xu Lizhai being the manager. The studio was located on Castle Peak Road in Tsuen Wan with three sound stages occupying 80,000 square feet. Between 1953 and 1973 over 1,200 films were shot there (one-fifth of HK’s total production output) including Cantonese, Mandarin, and Chaozhou dialect. In 1973 the studio was sold because of falling production (at that time, films were shot mostly on location) In 1997 a factory stood at the studio’s location. Yonghua / Youqiao [?] Film Company 1948-1957 was located at Kowloon Tsai. Its boss was Li Zuyong and the studio manager was Lu Yuan Liang. It was the biggest and most modern studio in Hong Kong at the time possessing two sound stages measuring 120 by 80 feet each. The cameras, lighting, recording systems and film processing equipment were state-of-the-art. It was the only studio in Hong Kong to possess a back-projection projector. In 1955 the studio relocated to Hammer Hill Road, Diamond Hill and was taken over by the Cathay organisation nd was renamed the Motion Picture and General Investments (MP&GI) studio. This article was first posted on 27th September 2014. Presented by the Urban Council, organised by the HK Film Archive – copy available at the Archive’s Resource Centre but not for loan. Hi Hugh, thanks for the mention. It’s worth pointing out that under the banner of “film studios” is a plethora of companies involved in various stages of film making. Some companies were just monetary vehicles that provided funding, some provided post-production facilities, a small number actually had studio space, some were only involved in distribution and some did everything (like Golden Harvest and Shaws). Glad to see this article. Please feel free to visit my site for tonnes for Hong Kong Movie Company logos!